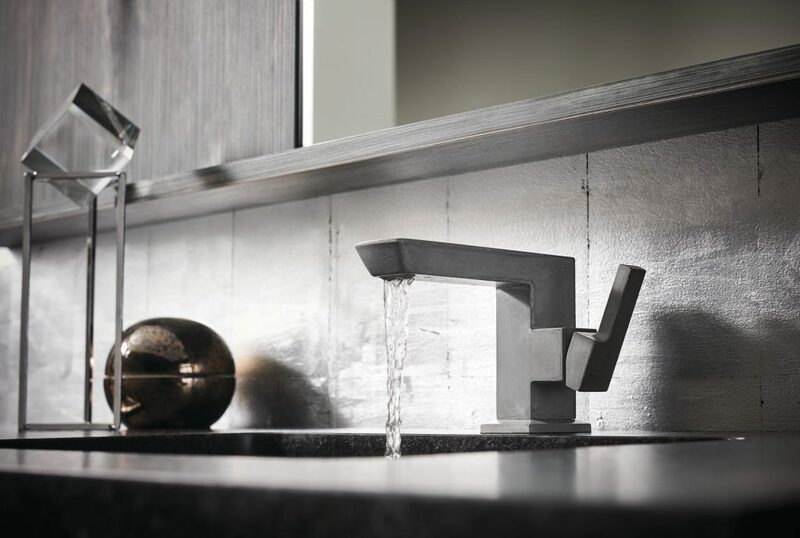 Executive Editor Mike Berger chooses Brizo Kitchen & Bath Company's new luxury faucet as his product pick for January. No doubt about it—there’s just something about concrete in home design we can’t ignore. It’s subtle but sophisticated, and when used well, timeless. Concrete is growing in popularity, and though many 2019 trend forecasts predict larger-than-life patterns, splashy tile, and bold colors, this incoming trend goes against the grain. Until recently, the idea of ‘beauty’ and ‘concrete’ didn’t go hand-in-hand. 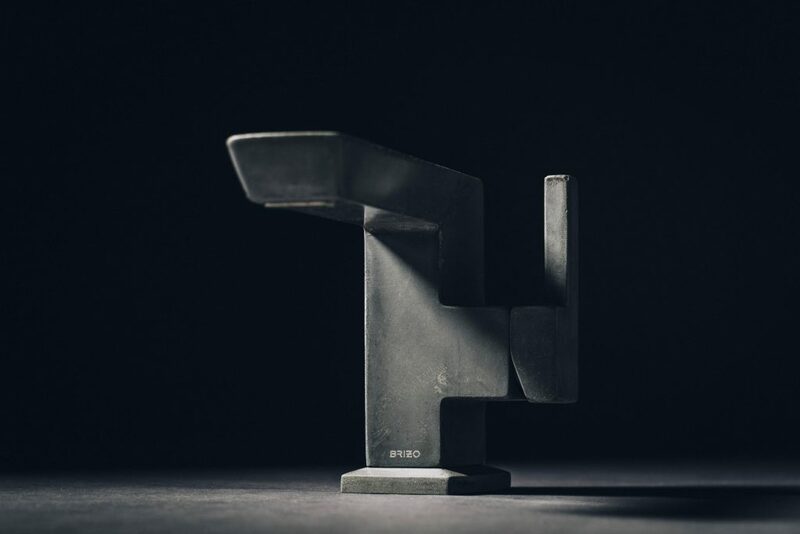 But the Vettis Concrete Single-Handle Faucet, a limited-edition concrete faucet by Brizo, challenges the norm. The Vettis Concrete Single-Handle Faucet is an engineering and architectural knockout wrapped up in a high-end fitting—in this case, a single-handle bathroom faucet. With the help of designer T.J. Eads, Brizo launched their most innovative, game-changing, and in-demand product yet. And if you ask us, they’re not hyping it up. It’s really that cool. 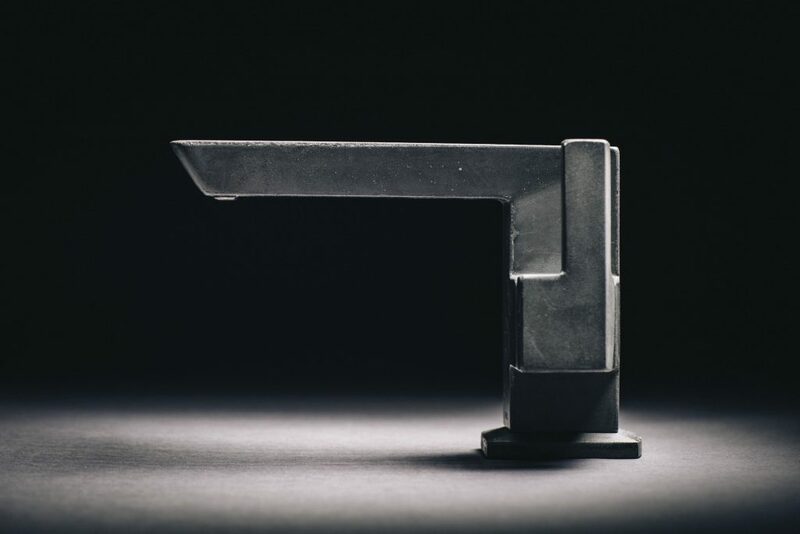 The Vettis Concrete Single-Handle Faucet is made from ultra-high performance concrete, reinforced with fiber for durability and long-lasting use, and gets its color from an infusion of charcoal. It features a water-efficient, laminar flow stream straightener, single hole installation, and is smothered in an environmentally safe penetrating sealant. Each hand-poured piece has a distinct texture, hue, and style—sure to sway even the toughest concrete critic. Let it be known: When they say “limited edition,” it isn’t a marketing scheme. There’s only 500 faucets available—and once they’re gone, they’re gone for good. Each piece was handcrafted in Victoria, British Columbia by Christopher Shannon, the expert sculptor and maker of the concrete faucet. After more than four years of meticulous development and testing, the product is exactly what it’s intended to be: majestic, exquisite, and luxurious. 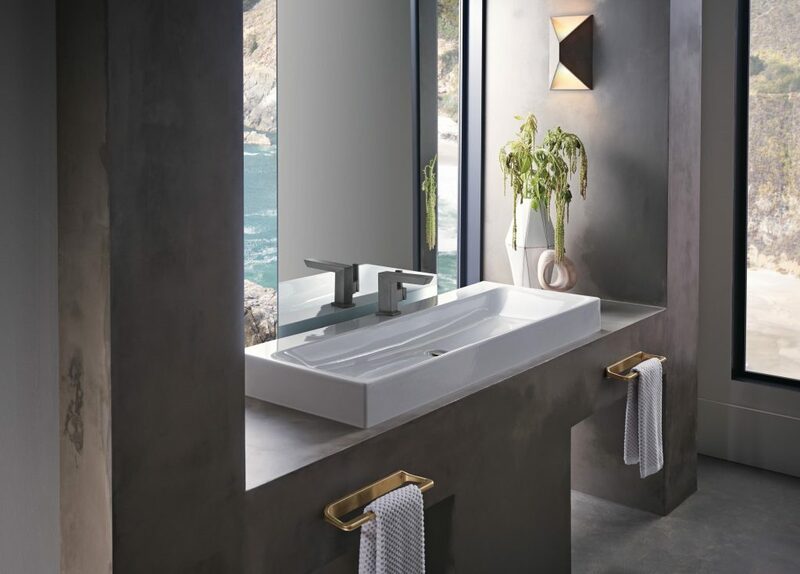 Thanks to the designer, sculptor, and everyone involved, Brizo cast a new (and higher) standard for their upcoming collections of kitchen, bath, and shower products—starting with the one-of-a-kind Vettis Concrete Single-Handle Faucet. Reserve up to four faucets of your own here.